10% of our profits are donated to social and environmental causes. We work directly with small organisations and individuals who need help, and we also support the following organisations in their endeavour to make a positive impact: (1) http://www.sshrishti.org (2) http://ncf-india.org (3) http://www.tigerwatch.net. We recommend you to read about the projects that these organisations support, and if you choose to donate or support a project and need our guidance on the same, we will be happy to help you. VANA means “forest” in Sanskrit. In order to fulfil the vision behind our company name, we plant and protect a sapling for each guest that travels to India with us. We believe that culture is a gift from the forest, and that reforestation of barren land is a social responsibility. Unless we reforest our lands and save it for our future generations we can achieve little from the tours and travels that we so lovingly create for you. If you would like to join us during our plantation drives, please let us know in advance. 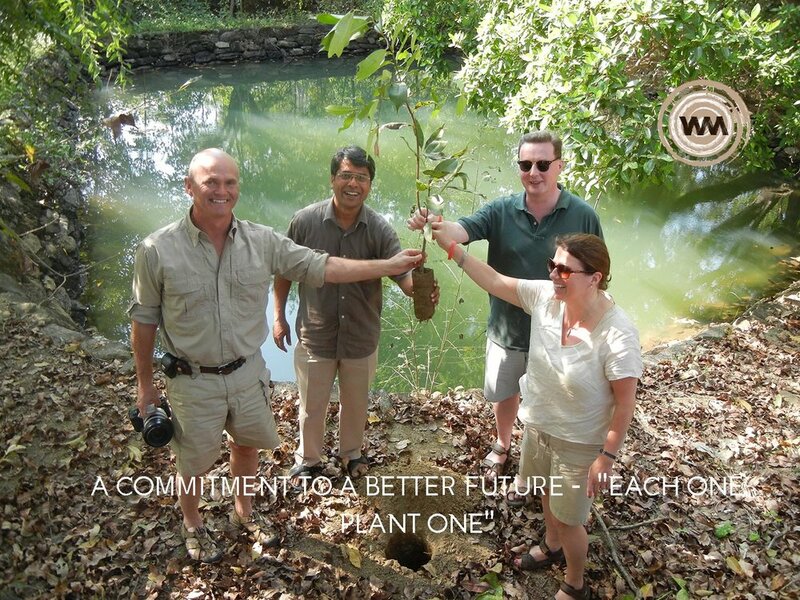 WE FIRMLY BELIVE THAT THE BEST FORM OF GIVING BACK IS REFORESTATION AND SAVING HABITATS FOR OUR FUTURE GENERATIONS.